Five billion years ago an asteroid crashed into the Earth. The impact tilted the planet at an angle of 23 ½ degrees. This cosmic accident created the world we know today. Using the Sun as a guide, we set out on an epic global journey. In the Arctic, a polar bear family wakes to the first sunlight of spring. Will they find food before the ice melts? Half a world away, an elephant and her calf share precious water with a pride of lions. Will their uneasy truce last? For the final leg of the journey, we follow a humpback whale mother. She must keep her calf safe on their 6000 km migration to Antarctica. This breath-taking story is narrated by Patrict Stewart and filmed with high definition cameras to create an unforgettable journey through the changing seasons and daily struggle for life across our planet, from rarely seen stunning landscapes to the smallest details in the lives of our best loved, wildest and most elusive creatures. By many viewers, Planet Earth series is an amazing movie. 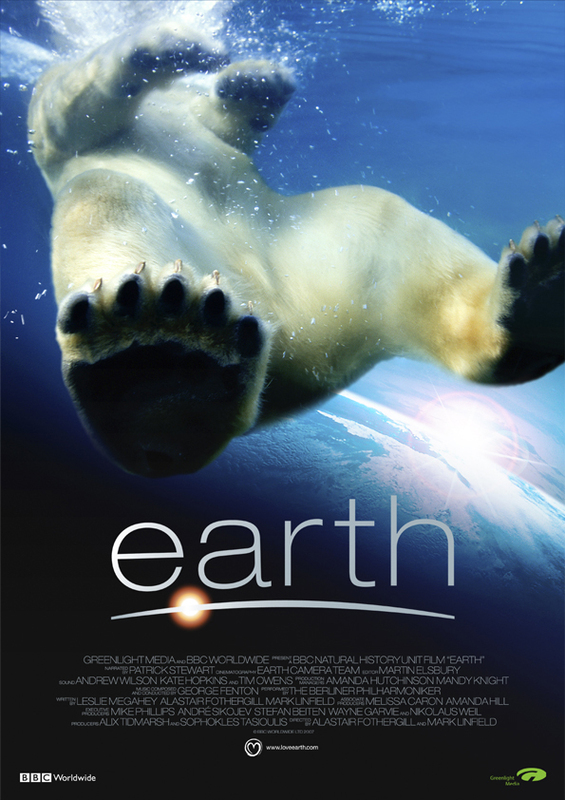 In one of Oprah’s show, Planet Earth series is illustrated as the movie that inspire people to act to save their planet. WWF-Indonesia, in its Earth Day celebration will preview the movie to audiences in Jakarta and vicinity at BlitzMegaplex theater. This presentation is expected to get people to be more aware of earth and act as to their capability and reach to make a difference. Lets make a different. Its only one earth for us. Lets save the living planet.